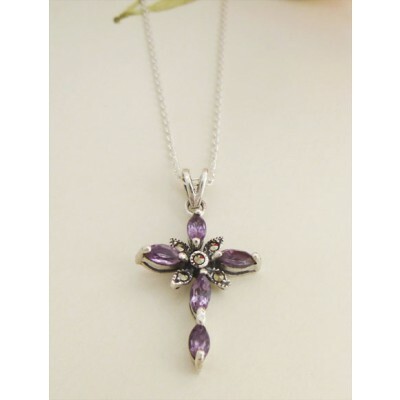 The Faith Amethyst Cross is a beautiful violet coloured cross in Amesthyst stone set in marcasite and sterling silver for contrasting colours that set off the stunning violet colour and accentuate the slightly celtic design. Guilty have named this gorgeous sterling silver necklace pendant the Faith as we think that it is a perfect piece for a lady that wants to be proud of her faith. 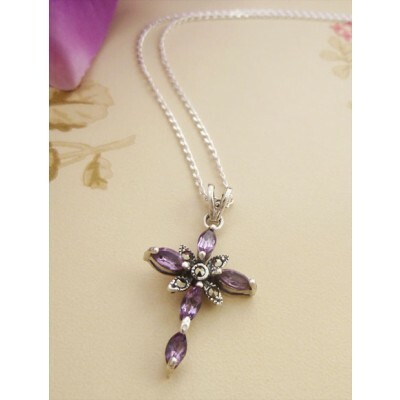 The Amethyst stone with a translucent violet colour is incredibly feminine with a celtic styled flower design backdrop brings to life an incredibly feminine and stylish ladies cross necklace. 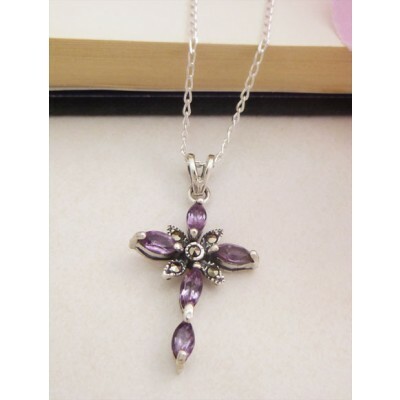 The Faith Amethyst cross features a pendant in Amethyst stone set in marcasite and UK hallmarked 925 sterling silver, the cross measures 34mm in length and 20mm in width, this sits on a hallmarked sterling silver chain of 51cm, perfect to keep your Faith close to your heart. 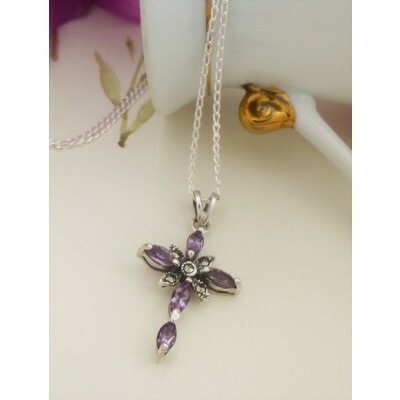 Amethyst stones set in marcasite and UK hallmarked 925 sterling silver. The cross measures 34mm in length and 20mm in width.